Item # 304602 Stash Points: 1,995 (?) This is the number of points you get in The Zumiez Stash for purchasing this item. Stash points are redeemable for exclusive rewards only available to Zumiez Stash members. To redeem your points check out the rewards catalog on thestash.zumiez.com. The Marshin Black web belt is one size fits all and provides a durable metal tip and clasp. Its simplistic color is highlighted with a bright white Smile Face belt clasp and tip as well. Made with soft and durable 100% polyester this belt can handle any adventure. 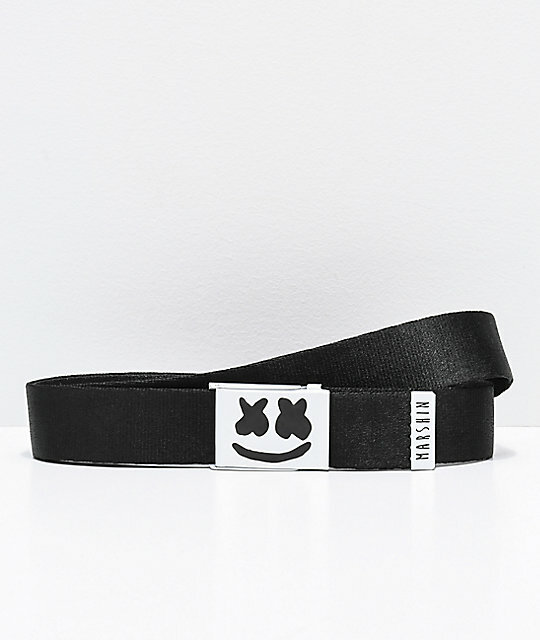 Black Web Belt from Marshin. Non-slip logo embossed metal buckle. Metal white logo tip to prevent fraying.